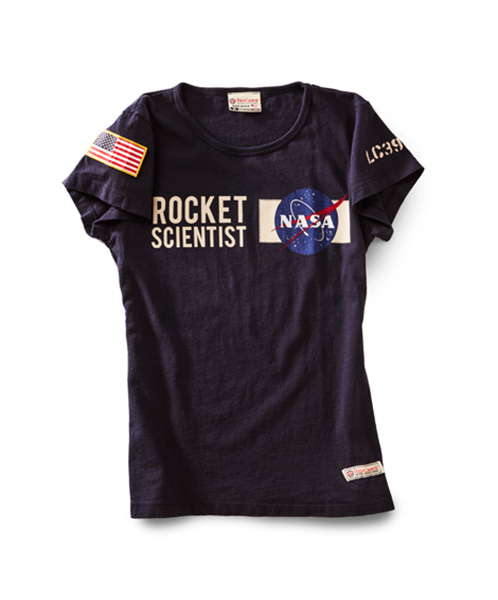 The Ladies Rocket Scientist NASA tee is a 100% navy blue cotton crew neck shirt. The tee features the NASA vector emblem with "Rocket Scientist" on the chest. The shirt also has an American Flag on the left sleeve and LC39 (Launch Center 39) on the right sleeve. The shirt is available in ladies SM-XL and is made in the USA.